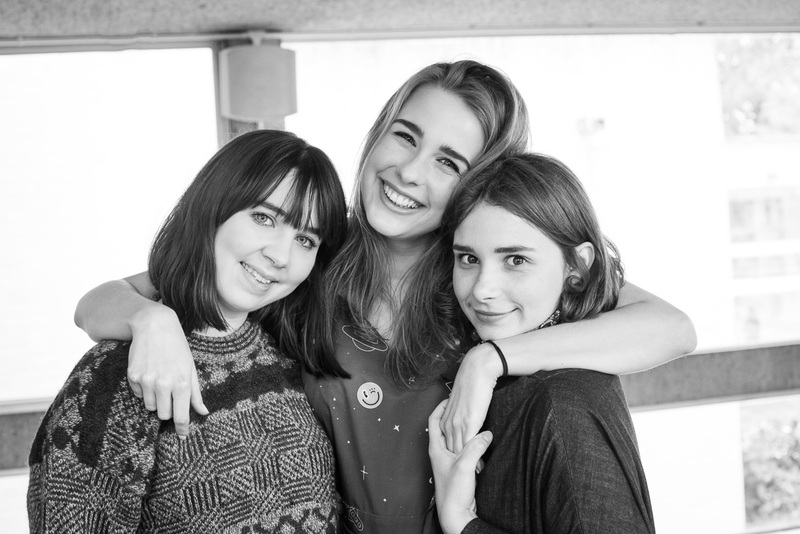 After twelve glorious days in Cambridge it was time to head back to Stockholm, but not before doing one last photoshoot in the morning. 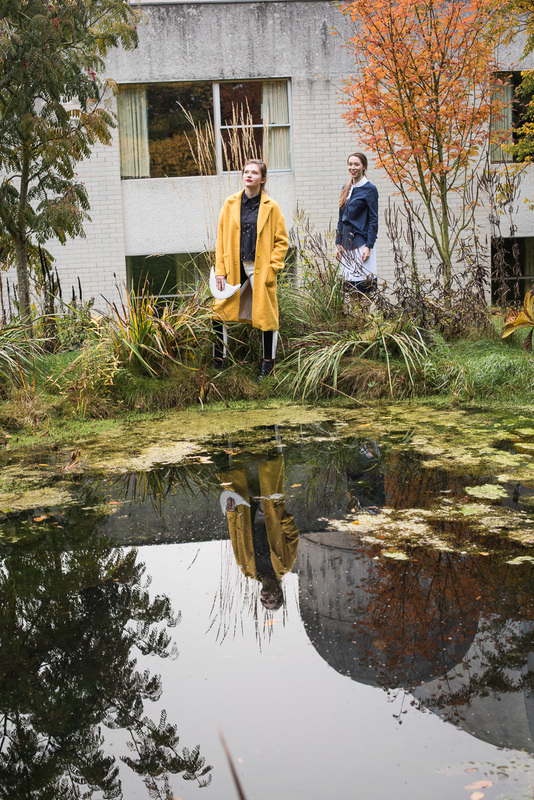 So at 8:00 on Tuesday morning I met up with Alice Mottram, Jessie Mathewson, Kat K, Helena Blair, Amelia Oakley and Flora Chatt at Murray Edwards College for a fashion photoshoot. 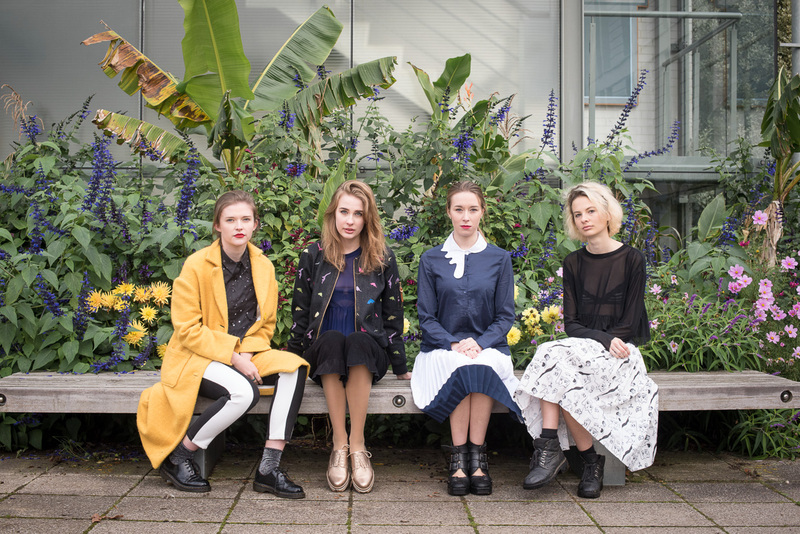 The clothes in this shoot were from The Whitepepper. 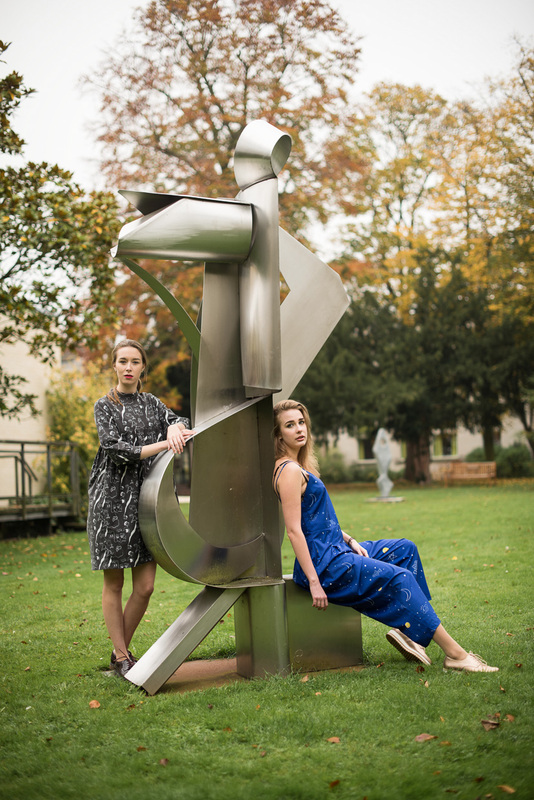 Helena Blair and Kat K. There are some modern sculptures in the gardens of Murray Edwards. Kat K. I am not going to attempt to comment on the fashion, instead I want to point that I liked the blue colour and how it contrasted nicely with the orange leaves. Helena Blair. 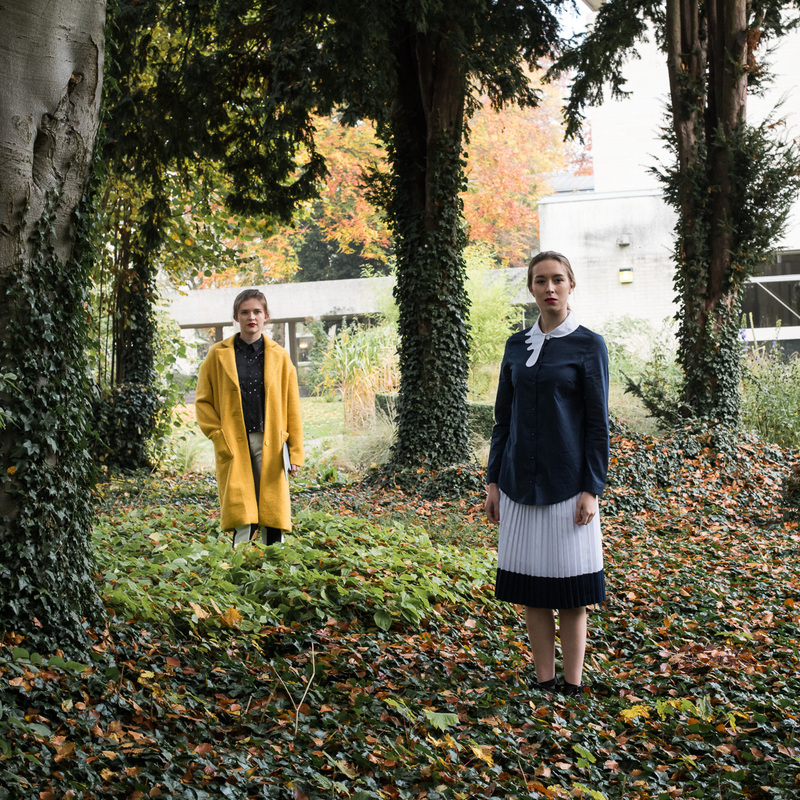 Amelia pointed out the little shrubbery in front of Helena, which made for a great framing. Kat K. Alice and Jessie gathered leaves to throw at her, I think the technical term is “decorate her with leaves”. Amelia Oakley and Helena Blair. Here we were playing with the reflections in the water. 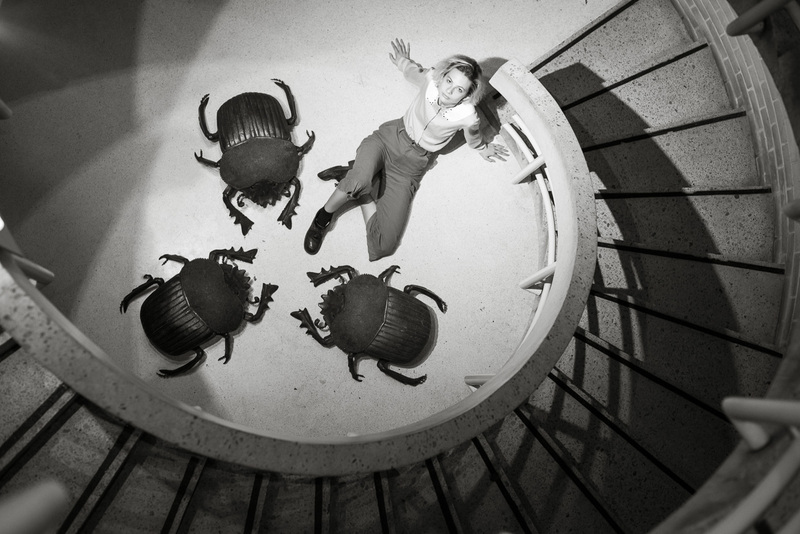 Flora Chatt and the Murray Edwards beetles. Here we lit Flora from the side with a flash. 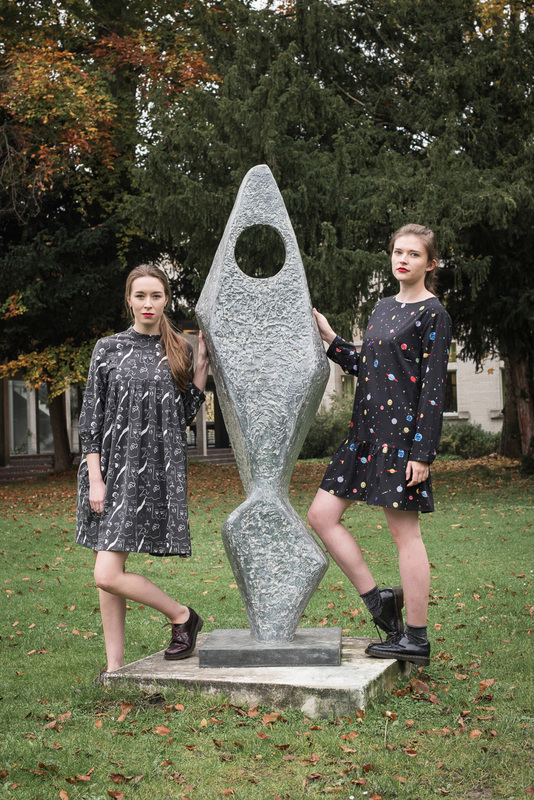 Helena Blair and Amelia Oakley with the fish/rocket statue. Kat K. When photographing people in bright clothes a dark background is nice, and when photographing people in dark clothes a brighter background makes them stand out more. Here I brightened the green component in the black and white photo to make Kat stand out against the background better. Kat K. If you want to take a beautiful portrait of a friend, then soft light from a cloudy day is perfect. If you have a doorway, or a tunnel, or some other way to shield part of the light, then you can start playing with shadows to improve the look further. See for example the photos shot under a bridge in this blog post. Personally I fell in love with the denim jacket, because dinosaurs! 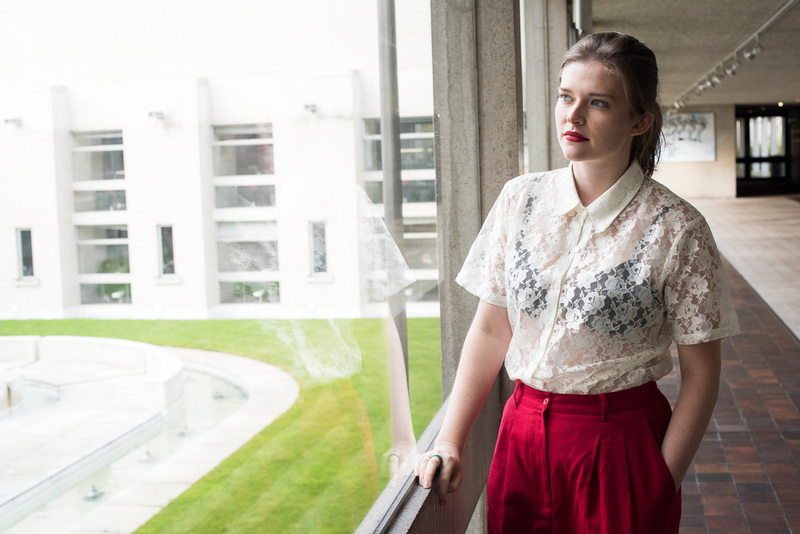 I absolutely loved how Jessie paired it with a see-through top to add romantic mood to the outfit, whilst vintage-inspired 7/8 trousers added a bit of edge to the look. Amelia Oakley looked so fashionable in her own outfit, so I included a photo of it as well here. Kat K moments before she had a ton of leaves dropped on her courtesy of Alice and Jessie. Although navy playsuit was too big, I loved the silky material of it and a sense of freedom it provided. The wideness of trousers made the playsuit seem like a dress, but did not make me worried about revealing too much when moving around. Its print combines two of my favourite colours- warm yellow and deep navy. Needless to say, I loved the smiley faces. 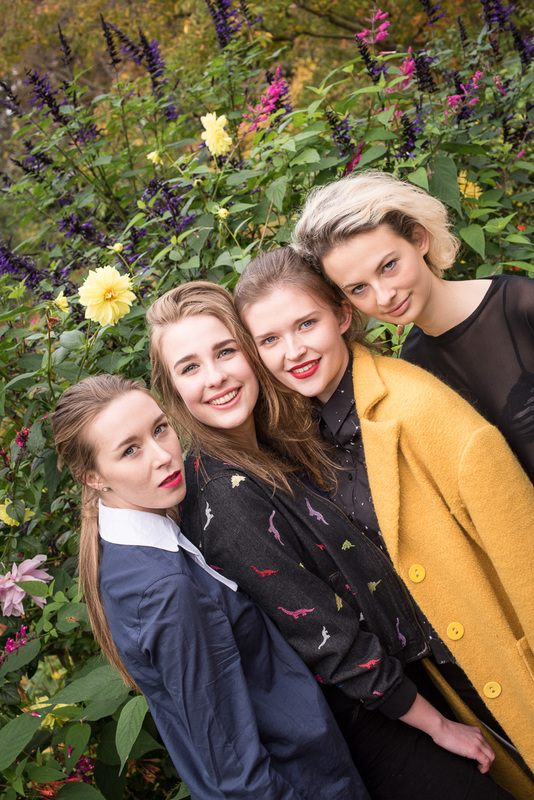 It was great fun, many thanks to Alice, Jessie, Kat, Helena, Flora and Amelia! 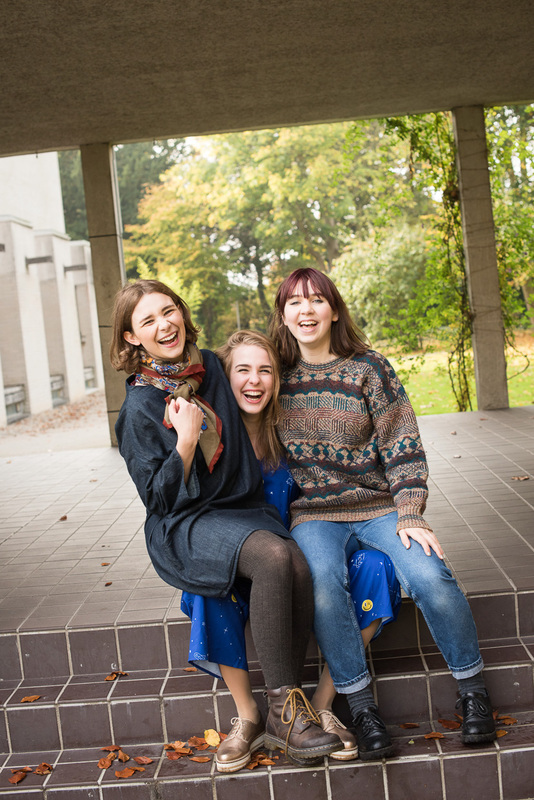 You can read the full article including more fashionable details on The Cambridge Student’s webpage. I will add a link hopefully later tonight. For more fashion photos, see the fashion tag on the blog.